Before you all virtually roll your eyes at me, you should know I actually love sneakers! So much so that I had to introduce a self-imposed sneaker ban because I wore them so much; I sensed myself getting lazier and less creative with my outfits by the day. As such, this summer I vowed to switch it up, and I couldn’t be happier about it. While I still prioritize comfort most days (as I walk to work and can’t be bothered with the concept of commuter shoes anymore), I’ve come to realize that there are countless other shoes out there that can be as comfortable, cool, and casual as my ole sneaks but a little more put together and a little less redundant. See just what these shoe styles are below, read about why I like them as much (if not more than sneakers), and, of course, shop my picks for each one. No matter what the item is, satin will always make it look elevated. So if you want to opt for a comfortable yet polished shoe choice, consider satin sandals in any of their many forms. 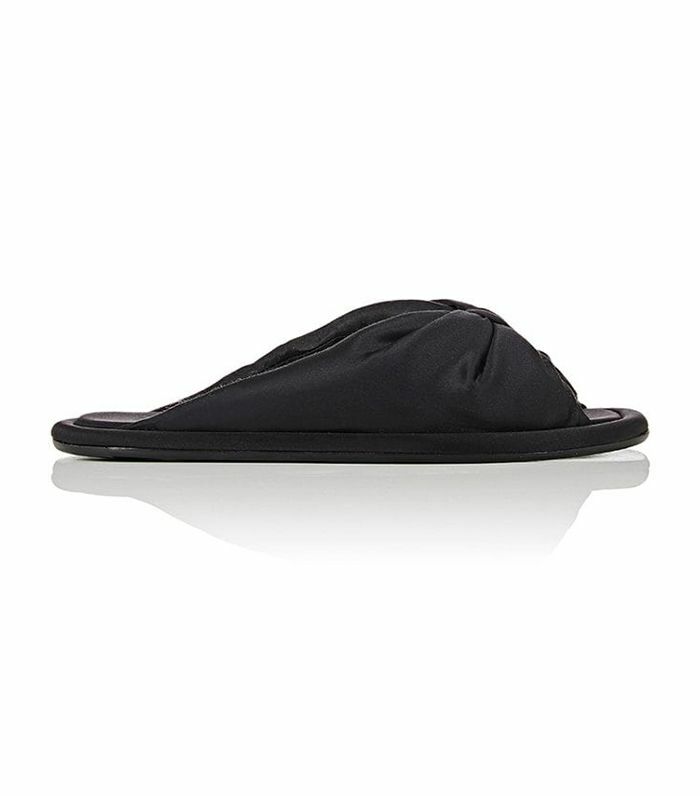 If you want something a little less casual than sandals, closed-toe mules are for you. I've been living in the below pair by Loeffler Randall for the past several months because you can literally wear the shoe style anywhere, and it works. The award for most flattering on this list definitely goes to neutral slides. Even without any height, the barely there sandals make your legs look exponentially longer by blending them in with the foot. Plus, they match pretty much anything. Does this count as cheating? Unclear, but I definitely feel like these are in a different category than plain old sneakers. Aside from having a nice ring to them, sneakerdrilles (aka sneaker-espadrille hybrids) are the perfect way to feel like you're wearing sneakers but looking like you've slipped on the perfect summer platforms. As you'll see below, they've got some height thanks to the extra row of weaving. And last but not least, loafers. We're sure you're no stranger to these classic shoes, but in case they weren't for you in the past, we beg you to reconsider. Thanks to pretty much all of our favorite brands, there's so much variety in these once-uniform shoes that we bet any girl could find a pair that speaks to them. Up next? The outfit every NYC girl is wearing this summer.